Dance Moms star Abby Lee Miller is looking happy and healthy as she continues her road to recovery from Burkitt lymphoma. 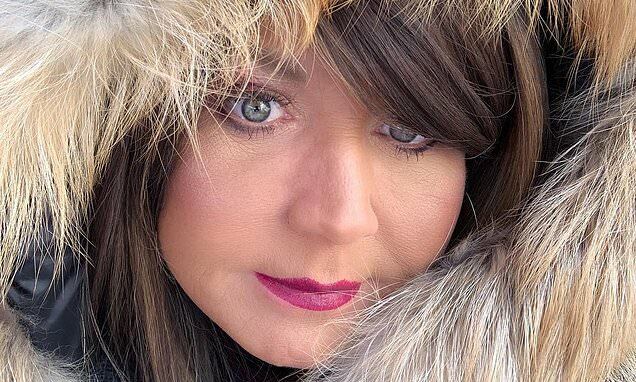 The 53-year-old shared a new snap on Instagram, where she was bundled up in a furry coat to stay warm. 'What am I staring at??? Maybe dreaming of warmer climates?' Miller shard in her caption, adding #thebestisyettocome #aldcla #dancemoms #season8 #ALDC. Miller was in Glassboro, New Jersey when she shared the photo on Instagram on Saturday afternoon. She also posted a photo with herself and fellow Dance Moms co-star Gianna Martello. 'Teamwork makes the dream work! !,' Miller said in the caption, along with the hashtags #dancemoms #abbyleemiller #duo #dance #aldcalways #aldc. Late in February, Miller shared a new video that showed her getting back to dancing, after being diagnosed with Burkitt Lymphoma in April 2018.